The disposable fashion business model only speeds up the pollution of our planet and the abuse of garment workers. Choose quality over quantity by buying fewer items that are made to last. We get it; you can get bored of wearing the same old outfits. “Why not swap clothing with friends to give your old favorites a new life?” Greenpeace suggests. You can also buy secondhand or vintage items to extend their useful lives. 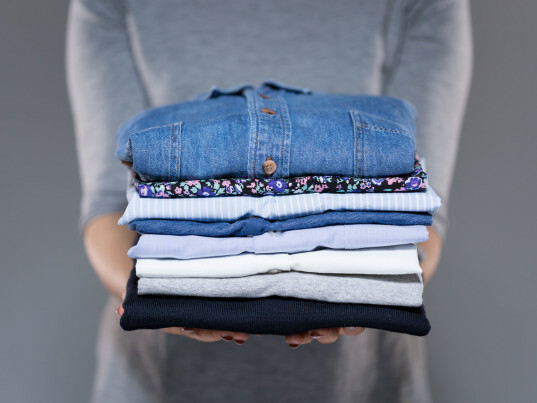 Reach out to your favorite brands and find out what they are doing to improve the sustainability and ethics of their clothing. “Let them know you want better clothes, not more clothes,” Greenpeace says. Find out which brands have pledged to eliminate hazardous chemicals from their supply chains through Greenpeace’s “Detox” initiative. “Show your support through future purchases, social media kudos, and spreading the word to friends and family,” the group adds. For bonus inspiration, check out the story of Chiara Milford, a Berlin-based writer who went an entire year without buying new clothes. Don’t be afraid to start small, however. The most subversive thing you can do tomorrow is just to buy nothing. Lead image via Unsplash. Originally published on November 26, 2015. This is a great list but in addition to researching which brands do not use toxic chemicals its also important to understand the other possible ecological and/or social footprint of the fabric itself. Your clothing could be free of "hazardous materials" but from unsustainable production and/or unethical value chains.